Since this weekend starts with a Friday the 13th... I decided to make this a horror-ific weekend. And what better way then to watch some horror movies I never seen before. Or at the very least not since getting the DVDs. Sometimes it is difficult to know if a movie is a horror movie before watching it, so for the purpose of this marathon I will be going by what genre DVD Profiler has for it. But if there is a title below you know is not horror... please let me know so I can fix it..
As usual if there is a title that you would like to see me review feel free to ask. But as usual... no promises I will be able to get to it. All depends if I am in the mood and if I get the chance to get to it before the weekend is over. With the size of that list...how could you even think of re-watching something?!? I wasn't that impressed with Audrey Rose. Another one that I am luke warm about is Ichi the Killer. But, it's bloody and nasty and might be right up your alley. I'm surprised, Stephen King fan that you are, that you haven't seen Cujo - that might be one to watch. 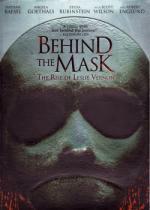 Behind the Mask: The Rise of Leslie Vernon is one I'd like to know what you think of it. In the dead of night, a group of lost college students stumble upon what appears to be an abandoned laboratory hidden deep within the woods. Cold and exhausted, they break in, only to find the hallways littered with dead bodies. Coming across a coma patient locked within an isolation cell, they discover The Sleeper, a deranged murderer who can literally dream his way into their minds. So when her friends are transformed into bloodthirsty, axe-welding killers, a terrified young woman (Tara Reid) tries desperately to escape. For when The Sleeper decides it's her time to die, all he has to do is wait for her to fall asleep. Thanks Kathy.. I have seen Cujo before. Just not since getting the special edition DVD upgrade. So it is in my unwatched pile. There is many there that I have seen on cable or VHS... just not since getting the DVDs. Thanks Jimmy... just re-read your review. I will have to try to get to that one this weekend. On the winding and fog-enshrouded streets of London, the sinister being known only as Mr. Hyde terrorizes the city in a haunting spree of mayhem and murder. With the populace in a panic, the legendary monster hunter, Van Helsing, arrives in London on a mission to track down and capture the elusive Mr. Hyde. Starring Hugh Jackman as the voice of Van Helsing, this original animated film will thrill you with cutting-edge visuals and non-stop action. 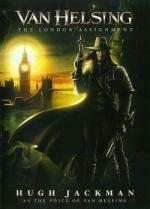 Experience a 'Van Helsing' adventure that takes place before the events of the blockbuster film! I don't want to say this is a bad short film... but I was definitely expecting more from it. Especially what with how much I enjoyed the movie Van Helsing. The storyline just didn't grab me as much as it should have. If I saw this short before the movie I wouldn't have been in as big of a hurry to watch the movie when it was released. I can see myself watching this again... but not as often as some of the other films in my collection. I admit... I didn't give this movie the attention it should have gotten... as I was doing 2 other things at the same time as watching this. But I found this to be little more then an average horror film. The bad guy is right strange in it. No real scares and a little blood. Though I fully admit I need to give it another chance when I can give it a bit more attention. As I believe I must have missed some key plot points. A crate of bio-engineered marijuana winds up at a strip-joint after a drug deal gone bad, bringing with it a renegade DEA agent and a swarm of monstrous critters. Just what owner Ralph and dancers Crystal, Trix and Amber need as they struggle to save their club from shutting down. An exterminator is called in to thwart the infestation, but quicker than you can say "roach motel," these oversized insectoids prove they are made of tougher stuff. The club is under attack by a stealthy, skittering invasion of big, bad, bloodthirsty bugs, and there's nowhere to run, no place to hide, and not a lap-dance in sight. And when the DEA heavy falls victim to a hungry horde, you can be sure he'll be back...but he might not be quite human anymore. This one is nothing more then low-budget cheesy horror fun. This is not a movie to watch if you are looking for scares. That much is for sure. But something to veg out in front of... to waste an hour and a half just to make fun of... then yes there is some of that type of entertainment value here. Anyone that knows me... knows I have a bad case of arachnophobia. But in the case of this movie.... these mutant spiders looks so fake that it is a non-issue. One plus this movie has... it has the always cute Misty Mundae (AKA: Erin Brown) in it. Which I have a lot of her movies given to me lately when I mentioned that same thing in an earlier review. So this is a cheesy... if not fun... addition to the collection. Just like the other Shock-O-Rama Cinema releases I have... this one includes a nice selection of extras. So that is a plus as well. You know legendary maniacs Jason Voorhees, Michael Myers and Freddy Krueger. Now meet Leslie Vernon, the next great psycho-slasher. Nathan Baesel of INVASION stars as Vernon, a good-natured killing machine who invites a documentary film crew to follow him as he reminisces with his murder mentor (Scott Wilson of IN COLD BLOOD), evades his psychiatrist/nemesis (Robert Englund of A NIGHTMARE ON ELM STREET), deconstructs Freudian symbolism, and meticulously plots his upcoming slaughter spree. But when the actual carnage begins, where do you draw the line between voyeuristic thrills, mythic evil, and good old-fashioned slasher movie mayhem? Angela Goethals (24) and Zelda Rubinstein (POLTERGEIST) co-stars in this ingeniously twisted and award-winning shocker that Film Threat hails as "a masterpiece...". I just finished watching this film. I am not sure how to explain what kind of movie this is. It is done a bit differently then any of the other horror and comedy mixtures I have seen to date. It was a nice change of pace that I enjoyed quite a bit. I also liked the fact that they got a couple familiar faces from other horror movies with Robert Englund (A Nightmare on Elm Street) and Zelda Rubinstein (Poltergeist). I have heard in the past from friends that this is a good movie... but that is about all I knew before going into it this morning. As I said... it is something a bit different so it was able to easily keep my attention. As for the comedy in this one... it is like a fun thing to watch... but not a laugh out loud Ha-Ha type funny. If that makes any sense to you at all. Either way... it is one I would definitely say to give a chance. I really enjoyed Behind the Mask. Full of nods to other horror films and it wasn't tempted to change direction in the way it is presented, staying committed to the documentary feel.